The Liver Cancer Awareness Ribbon Magnet is a great way to show your support for someone living with Liver Cancer. This magnet is 4" x 8" in size. «UV protected to prevent fading. «Magnet sticks to most metal surfaces. 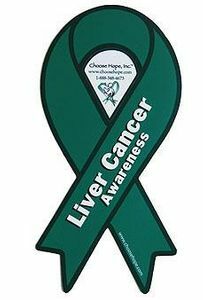 Make sure to see our full selection of Liver Cancer Awareness products for more great ideas and gifts.